Literary Lindsey: It's Monday - How are you?? Hello book people! How are you doing? This has been quite a week around here. I am definitely feeling some third trimester exhaustion but I'm learning to balance getting things done around here and making sure I have time to rest. In more exciting news, both of my sisters were home from college so we had a great time hanging out on Saturday. David also had a brief but glorious career as as TV star when a local news channel interviewed him on Friday as he played in the snow. He also lost his first tooth today, so we are having quite an exciting weekend. Where'd You Go is on my stacks and I look forward to reading it. It was a great read - I think I powered through it in a day or two. I hope you enjoy it! Sounds like a great weekend, enjoy your last few months :-) A great mix of books. David is famous! And he lost his first tooth?? :*) Awww! I hope you enjoyed Bernadette, I thought it was a delight! It was a very exciting weekend! The funny thing is that he didn't even realize that they were reporters until they were gone - it made perfect sense to him that they just stopped to chat and help with his snowman! This was my first time reading one of his books. I happened to find it in the house and decided to give it a whirl! I haven't read John Grisham either. It was my first time, but I felt like he was one of those authors I should try at least once. He's not my new favorite author or anything, but I like to try authors or genres at least once! I am pretty happy about having another little one now that our formerly little one is heading off to kindergarten in a few months! I know it will mean a lot of changes, but they will all be very worth it. It was quite the week for David. Haha! I hope you enjoy your reads this week... I hope to read Grisham one day. Any recommendations as to where to start? This is my first time reading Grisham, so I can tell you that The Pelican Brief is a good read and doesn't necessitate reading anything else. Sorry I can't help more! 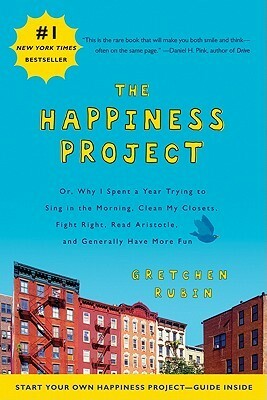 Definitely going to give the Happiness Project a go at some point this year. I haven't read a John Grisham in years. I used to enjoy them. I'm sure the Pelican Brief was one I read and liked. Hope you enjoy. Have a great week. I did enjoy it. Did something in particular make you stop reading them or was it just a case of too many books?? Aww what an eventful weekend for you! How fun! I do not believe I've actually read a John Grisham. I must put it on my bucket list. Here is my Bookish Memes post. Have a great week, and good luck battling the exhaustion! That's exactly how I felt - I decided he was one of those authors I needed to try at least once! Thanks so much. I hope you have a great week too! I liked it and it was quick read, but I didn't adore it like some other readers. I've heard a lot of good things about The Pelican Brief. I hope you enjoy it as well! It was a good read. 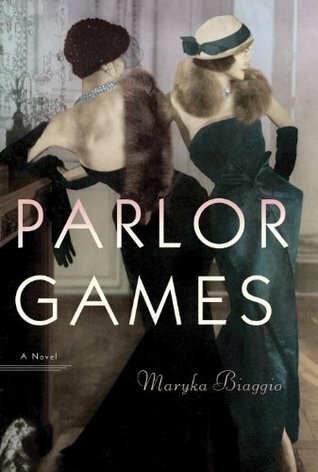 I don't read a lot of suspense, but I was definitely hooked! Sounds like it was eventful. The only book I recognize is The Pelican Brief, but I've never read it. It was interesting reading a book from the 1990s because it definitely had a sense of time/place. But it was still an engaging read. Sounds like you had quite the weekend. We got the snow as well, but luckily with the warm weather this weekend, it's almost all melted!!! Ours has melted too. It was funny leaving for church yesterday though - David's snowman had been reduced to a snowball and a strawberry nose! Bernadette was a lot of fun. It's zany but heartfelt. I thought it was ok, but I didn't love it. For a book that is built on one character, she was surprisingly predictable and rather boring. I've never read Michael Crichton...haha. I find the law fascinating, so I don't mind the lawyer speak so much. But I can understand how that might be frustrating to some. If I were to make a first foray into Crichton, do you have any suggestions for which book to pick? It does sound like you had a great week! 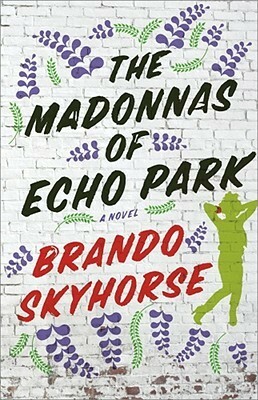 The Madonna's of Echo Park has been on my must read list for a long while! Thanks, Shellyrae. I'm enjoying The Madonnas of Echo Park so far. I still have about 100 pages to go. Ooh, ooh. Where'd you Go Bernadette and The Happiness Project are both on my to read list. I haven't read a John Grisham novel in years (I'd say decades but that makes me feel old). Hope you are enjoying your reading this week. Thanks for visiting my blog! It's funny that so many people mentioned that they used to read Grisham all the time, but this was my first book by him! The Madonnas of Echo Park sounds good, I've just added it to my wishlist! 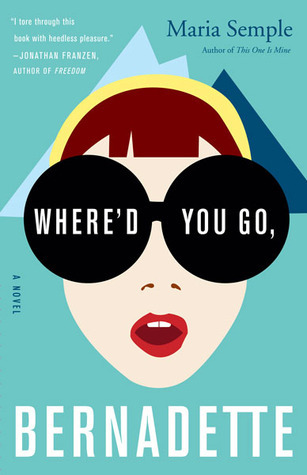 Did you enjoy 'Where'd You Go, Bernadette'? It's on my TBR pile at home but hasn't floated to the top yet. Oops, sorry, I thought my 1st comment hadn't posted, but it had. lol!